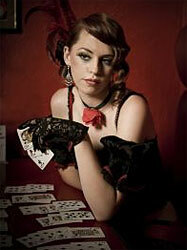 Vegas Strip Blackjack card game variation is a popular blackjack game. Is has little differentiations in comparison with standard blackjack card game and is mostly played in Las Vegas gambling houses. It's always important to have some basic strategy in your pocket. It performs a serious help for amateur players and those who perform online casinos gaming. H = Hit; S = Stand; D = Double; P = Split.